With an eventful 2018 drawing to a close and the new economic year a largely unknown entity, many homeowners are considering what the markets may be doing in 2019. Mike Greeff, Greeff Christie's International Real Estate CEO says, "This year has seen the market contend with political instability, rising inflation, recession and record-high fuel prices. Despite all the challenges, the real estate sector has remained more buoyant than many expected. While there has been visible tightening at the higher end of the market, the middle and lower markets have been very resilient and have not been as dramatically affected as the industry expected." "The outlook for 2019 seems quite promising with the results of the elections expected to provide clarity to the general populace. Foreign investor confidence is also gradually on the rise, due to Moody's rating of the country as stable. The Cape water crisis which dampened the market has been averted and the South African Reserve Bank has kept repo rates stable for the time being, despite calls for an interest rate hike. While sales may be lagging behind previous year averages, various areas of the market are performing very well." "Sales in the Southern suburbs, one of the mainstays of the Cape property market, are reported to be historically lower than the boom of previous years but still stable," according to Simon Raab, Director of Greeff Christie's International Real Estate. "According to Propstats, sales for the area over 2016 to 2017 totalled R3.5 billion from 1001 transactions. Properties took on average just 50 days to sell with the difference between asking and selling price a mere 7%. When compared to 2018, using the exact same time period, proof of the slowing is reflected by the numbers; 925 transactions totalling R3.22 billion with a 7.7% price difference. Time on the market was also up by 5 days." "The trend is expected to continue into 2019 due to buyers adopting a wait and see attitude but should ease post elections as the political climate stabilises. Investors are set to see numerous developments in the Southern suburbs being completed around the same time. The sectional title market specifically has seen an increase of stock becoming available thus leading to buyers having more choice. The bracket between R1 million and R2.5 million has been especially liquid, with our sectional title team concluding a sale on average every four days," adds Raab. Ryan Greeff, Director of Greeff Christie's International Real Estate City Bowl and Atlantic Seaboard says, "The City Bowl and Atlantic Seaboard of Cape Town is the place to be for young buyers who are looking for a trendy location in the heart of the city. While sectional title units remain popular due to their lock and go convenience, there has been some affordability tightening in the bracket above R3 million. The housing segment which ranges between R3.5 million and R5 million has remained relatively buoyant but with buyers hesitating to spend more than R5 million. The luxury market (above R10 million) has seen buying primarily by foreign buyers. Upcoming areas to take note of as possible investment hotspots are developments in Vredehoek, Higgovale and Oranjezicht." "All signs point to Noordhoek increasing in popularity due to schools being planned and developed in the area as well as road infrastructure being completed. This in turn should ease traffic congestion in the area," says Jeremy Barnes, Regional Manager of the South Peninsula division. "Kommetjie and Scarborough continue to offer the best of both, village living paired with modern infrastructure that facilitates remote working. A new commercial development in the Simons Town area has led to increased interest in the area and while there are still excellent 'value for money' properties available, stock in the area is limited which will possibly lead to prices rising. An exciting development to keep an eye on would be the Harbour Bay development which is nearing completion of its first phase as well as the Harbour Bay Mall which has already been completed. Fish Hoek and its surrounding areas have become very feasible areas for first-time buyers who cannot afford areas closer to the CBD or the Southern suburbs. According to FNB's property barometer, Somerset West, Strand and Gordon's Bay have experienced a promising upswing in property prices having grown by 12% in the second quarter of this year. The suburbs of Observatory, Woodstock, Salt River showed price inflation of 17.6% in the same period. 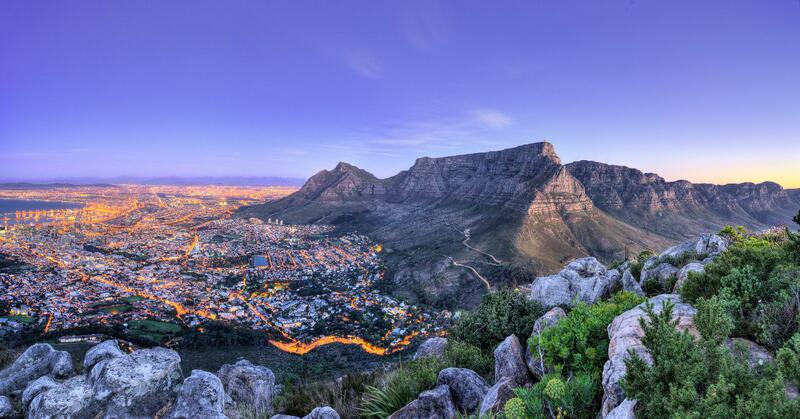 These pockets of excellence are responsible for the renewed health of the Cape Town market, considering the fact that the success rate for bond approvals has risen by 8% since the three months (prior to September 2016 to the three months prior to July 2018). The market has also experienced the unique phenomenon of bonds being declined by one bank only to be approved by another. The 2018 real estate year, while challenging at times has provided valuable insight into the psychology of the market. If current trends continue, market growth is expected to hover in the 3% - 4% range for the next 12 to 18 months.